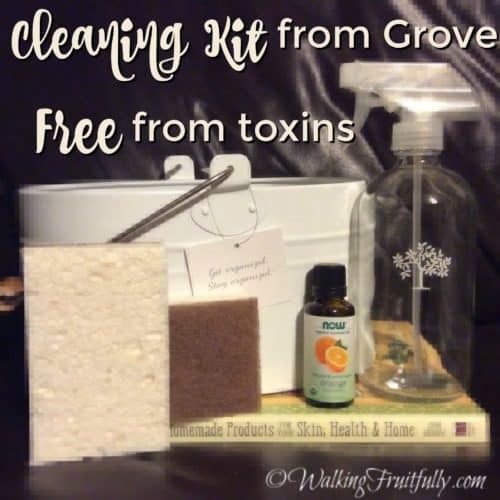 Free Cleaning Kit from Grove ~ Free of Toxins and Free for you! I like to know what’s in the products I use in my home — nobody likes to breathe a headache-inducing chemical cocktail (clean?). 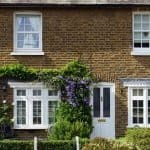 In addition to choosing natural household products, making my own cleaning supplies is a surprisingly effective, affordable way to get our home sparkling without harsh chemicals. Scented vinegar: Almost every natural cleaning recipe calls for vinegar — but it can be stinky! I like to add a few drops of orange essential oil to 1 cup of vinegar. Citrus oils are especially good at neutralizing the vinegar smell.You can use the scented vinegar in any recipe that calls for regular vinegar. Glass cleaner: I’ve experimented with lots of homemade glass cleaner recipes, and this is the one I keep coming back to. Combine 2 cups of water, 1 tablespoon of vinegar, 1 tablespoon of rubbing alcohol, and 1 drop of dish soap in the Grove glass spray bottle. Spray this directly on your mirror or on a microfiber cloth (a little goes a long way!). All purpose cleaner: This cleaner works wonders for cleaning a grimy stovetop or sticky fridge fingerprints. Combine 2 cups of water, 2 tablespoons of liquid castile soap, and 10-20 drops of essential oil to a spray bottle and shake well. For tough messes, I spray it on, wait 5 minutes, and scrub with the Grove walnut scrubber sponge. Linen spray: Linen sprays always feel so luxurious, but scented products can be full of irritating chemicals. I make my own with essential oils. Combine 1 ½ cups of water, ¼ cup of rubbing alcohol or vodka, and 30 drops of essential oil in the Grove glass spray bottle. Orange oil is a great uplifting scent for the new year! I love this Grove Collaborative glass spray bottle and I need more of them. How easy to have your scented vinegar for counter disinfecting ready to use – no need to transfer from a glass jar to my old cheapy plastic spray bottle. I prefer to store my homemade cleaning products in glass, since essential oils can break down plastic over time. I stash all my bottles and supplies in the Grove Collaborative enamel cleaning caddy. It’s one of those things I’ve always wanted but would never buy for myself. Now that I have it, it’s made putting together my essential toxin-free kit a breeze! That’s what Grove is all about: making creating a healthy, beautiful home effortless and affordable. Tell Grove what you like, and they’ll deliver a box of fabulous natural products (carbon offset) right to your doorstep, on your schedule. 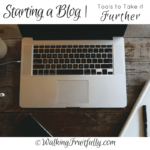 Each month, you’ll get an email reminding you to add any items you’re running low on to your shipment. I love that I no longer have to make mad dashes to the store for dish soap or toilet cleaner! 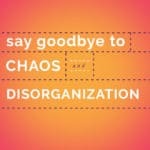 Sign up for Grove Collaborative here. 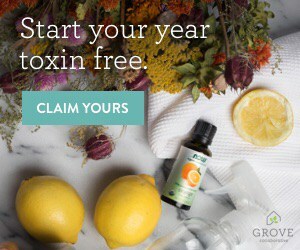 You will receive the Toxin Free Kit for free when you sign up! Answer 4 quick questions about your home that Grove Collaborative will then use to customize your first basket — this takes under 30 seconds! Once you’ve answered the questions, you can finalize your basket of products to suit your household needs by adding or removing items. To receive this offer, your order needs to be a minimum of $20. Choose the combination of products and scents you love and receive in your first box. Tip to save: Once you’ve submitted your Grove order, you’ll be signed up for the free 60 day VIP trial. As a VIP, you’ll get free shipping, free gifts, price matching, exclusive sales and personal service. It’s a great way to try out Grove and discover some new products you’ll love! 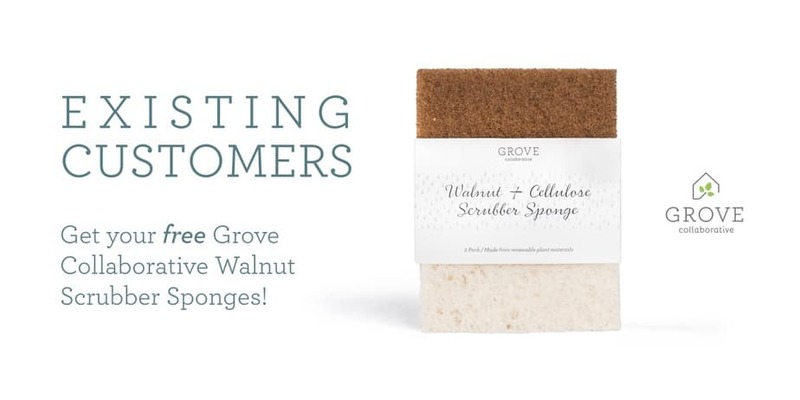 *Existing customers will receive free Grove Walnut Scrubber Sponges with your next order. We love these and use them for everything. When they start to get worn through, we just toss them in our compost bucket. No waste! *As a Grove Collaborative Influencer I received this product at a discount. 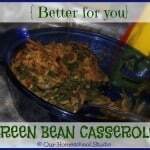 I am a regular customer of Grove and love sharing about them.